Ultra cute women's Canvas Captoe Swing Dance Shoes. Reminiscent of early 20th century women’s sport shoes. 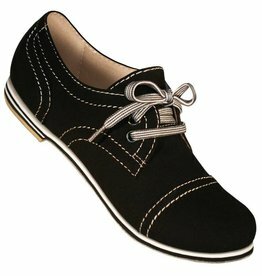 Constructed in a casual style with an adorable round toe and contrasting shoe laces.